"Nothing worthwhile is ever achieved without Compulsive Obsession. 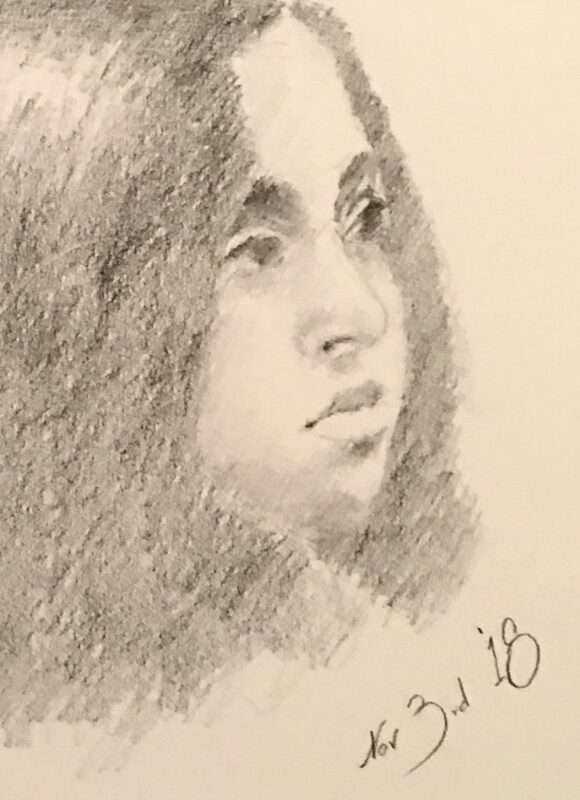 Passion is merely for the Sane — Faisal "
Here is a 10minute graphite pencil sketch of my youngest… (She is becoming more cooperative). This entry was posted in Uncategorized on December 3, 2017 by Faisal Tariq.